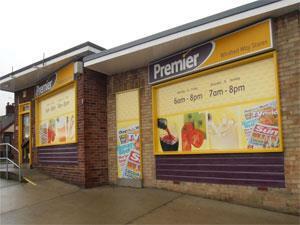 Premier - Winifred Way Stores01493 720570work Shop - ConveniencePremier Stores at Caister-on-Sea near Great Yarmouth, are a local convenience store serving local residents and visitors. Perfect for grocery essentials and everyday items. On arrival in Great Yarmouth follow signs for the A149 towards Caister-on-Sea, proceeding straight ahead at the Yarmouth Stadium mini roundabout onto the village. Proceed over the next three roundabouts and then take a right turn at the traffic lights onto Ormesby Road. Proceed along Ormesby Road past Haven's Holiday Park, taking a right turn onto Second Avenue (immediately beyond The Centurion PH) and then a left turn onto Winifred Way. Premier's Winifred Way Stores is located on the left hand side.